William “Sam” Paley and his business partners purchased a struggling Philadelphia-based radio network of 16 stations called the Columbia Phonographic Broadcasting System in 1927. His intention was to use the purchase as an advertising medium to promote sales of the La Palina cigar brand. After a year, cigar sales had doubled, and in 1928, Paley held a majority of ownership. Within a decade, William S. Paley acquired a network of 114 affiliate stations. Currently, Sam’s son, William C. Paley has reacquired rights to the name and is producing the boutique La Palina cigars again. Today, Bill remains focused on the rebirth of the La Palina label. 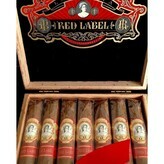 The Red Label series is the newest addition to the very popular boutique cigar producer. The La Palina Red Label is made at the PDR factory in the Dominican Republic and is enclosed in an Ecuador Habana wrapper with an Ecuador binder and Nicaragua and Dominican long-filler leaves. Red Label is blended to advance abundant complex flavor while remaining mild to medium in strength. 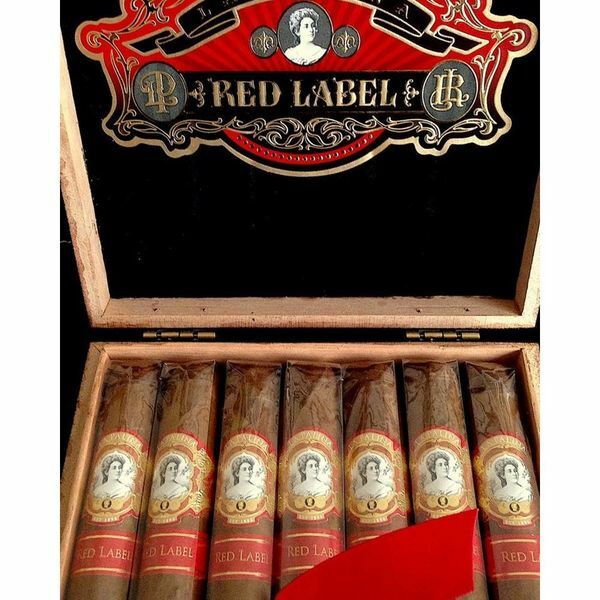 La Palina Red Label Robusto has a smooth, light brown, semi-oily wrapper rolled good and tight. Aromas of almond and wood are present. A nice amount of spicy pepper, char, cream and wood coats the tongue. The mild to medium bodied Red Label pairs well with a lighter lager or pilsner, such as the Bohemian style Pilsner Urquell. The golden Czech-style Pilsner has a lighter flavor with high foaminess that captures the spice of the Red Label cigar. If you desire a harder drink and want to be clever, try pairing a La Palina Red Label with what else?....a Johnnie Walker Red Label. The pairing works particularly well when the Scotch is used in a mixed cocktail.